The January wind is strong, it blew away any chance of cloud formation that would have made this moment more scenic. 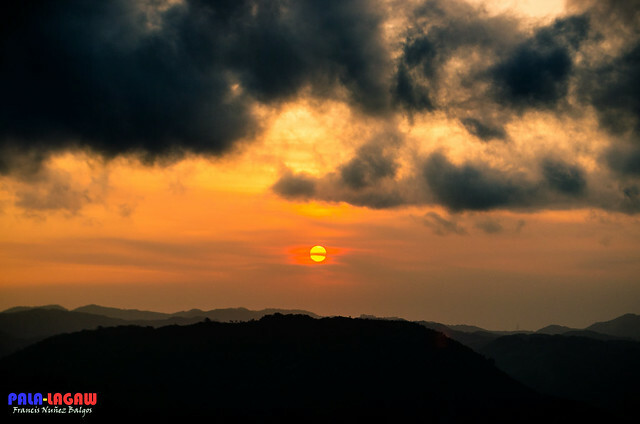 It was a long day, traveling to this far corner of Taytay Rizal after a graveyard shift, with the midday trekking under cover of Mt Daraitan's forest, I could not wish for a more pleasant way to cap this day than Sunset watching. Mt Daraitan's rocky summit proved to be a pleasant viewpoint to watch the Sunset as we feel the light rain and strong winds pass us by. At 739 MASL, Mt Daraitan is an easy trek but it became a little challenging for me as the mountain side where the trails steady incline is void of blowing wind, on a hot day it can become unbearable even under forest cover. 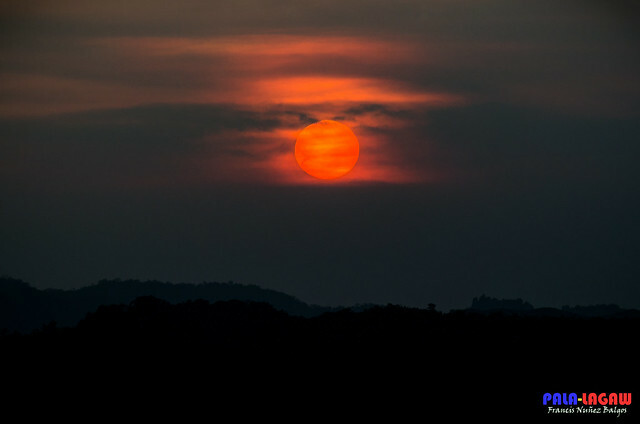 Standing on limestone rock boulders with sharp edges facing west, the Sun's sphere is turning a darker shade of yellow to orange to red as it dips down the cloudy horizon. The snaking Tinipak or Agos river is a pleasant foreground to the landscape. I understand now why the guides of Daraitan prohibits camping in the summit, there's is just not much space and the bare patch is littered with growing bushes that may become huge trees someday, it won't happen with human interference so it needs all the assisted regeneration it can get. For now the only interference I hear is the mindless of the women I was with in this trek, armed with the selfie stick they took the most prized real estate on top of the sharp rocks with the best view of the setting sun. I don't mind standing with my trek pole as support, I have my camera with me and the wind feels cool in my skin, I'm not wary that it would rain even though rain clouds hover above us, the vestiges of the Sierra Madre Mountain Range and the Tinipak River is all that I need to relax. It had been a long day after all and the setting sun is our reward. 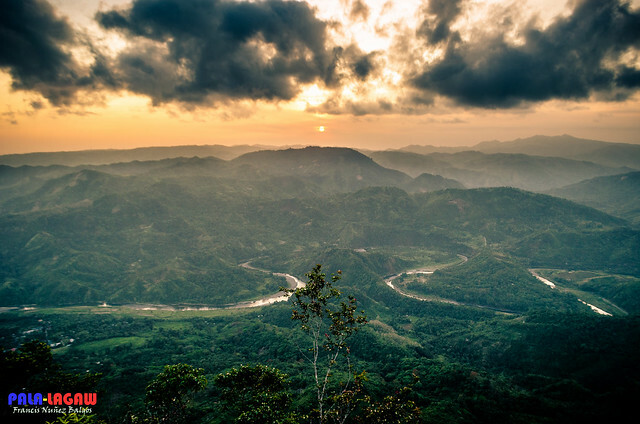 As seen from the summit of Mt Daraitan, is this Tinipak or Agos River is a sure wonder to look at from this vantage view.